ECUADOR VENDING MACHINE COMPANIES. 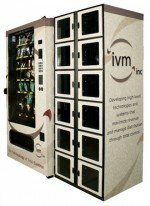 The vending machines companies may include these types of vending machines; Candy, Gumball, Snack, Soda, Drinks, Food, Deli, Healthy vending machines, Micro Markets, Coin Op Amusement games and vending repair services & more! Dirhel Ltda – Vending Distributor of Equipment in Colombia, Vending machine services. Contact Ricardo Castaneda. Bogota, Colombia, South America.